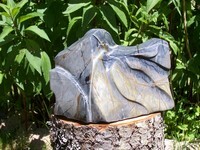 A fine art gallery and sculpture garden featuring the works of Jock Hildebrand and other BC / West Coast artists. We also offer complete framing services. Duncan, V9L 6H8, 5659 River Valley Rd.